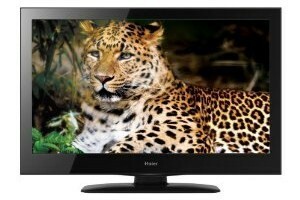 Haier 32-inch LCD HDTV: $199.99 w/ Free Shipping, Regularly $349.99! Wow, right now on Amazon you can get a Haier L32D1120 32-Inch 720p LCD HDTV for only $199.99 with free shipping. This regularly costs $349.99, and the next lowest price you can get it for is $299.95! This TV has pretty decent reviews and would make a great gift...maybe for your room, or your child's!